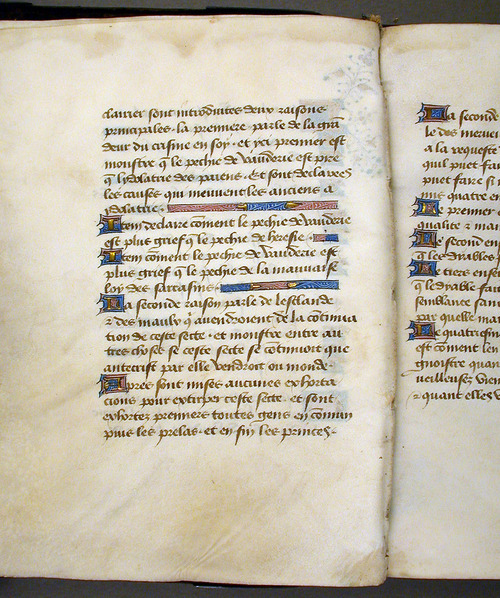 Explore early ideas about witchcraft by learning about a very rare (and sinister) fifteenth-century manuscript housed in University of Alberta's Bruce Peel Special Collections. Tinctor's Foul Treatise is an award-winning digital exhibition that unlocks the secrets of this special manuscript. 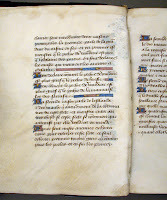 Curated by Andrew Gow, Rob Desjardins, and François Pageau, the exhibition was mounted in October 2016 by University of Alberta's Bruce Peel Special Collections, and it is the winner of the prestigious 2018 Leab Award (Electronic Exhibitions) from the Association of College and Research Libraries (ACRL) and the Rare Books and Manuscripts Section (RBMS) of the American Library Association. 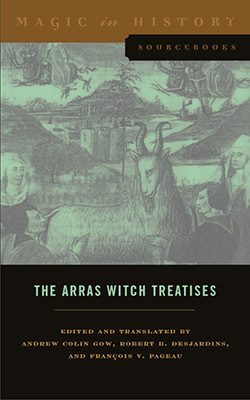 The Arras Witch Treatises is a full English-language translation of two important fifteenth-century source texts (Tinctor's Invectives and the anonymous Recollectio) prepared by Andrew Gow, Rob Desjardins, and François Pageau and published by Pennsylvania State University Press (2016) as part of their Magic in History series. This edition is available through University of Alberta Libraries (BF 1582 A155 2016) and is widely available for sale. Get a close look—through Archive.org—at the copy of Tinctor's Invectives housed in University of Alberta's Bruce Peel Special Collections. You can still check out Tinctor's Foul Manual, a very interesting one-hour documentary produced by Paul Kennedy for the CBC's Ideas that has been aired numerous times, most recently on 2 August 2016. 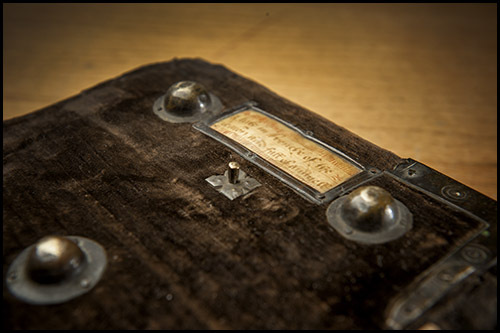 Check out the story entitled "Rare Book was Catalyst for Witch Hunts," by Michael Hingston in U of A's alumni magazine, Thought Box (21 Oct 2016). Check out Paula Simons' fascinating exploration of the ways that old ideas about witchcraft continue to haunt us today: "Politics, Powerful Women and Hunting Witches in a New Age of Superstition," Edmonton Journal (29 Oct 2016). This story helpfully links to a relevant story by Simons: "Witch History takes flight in Rare Manuscript at U of A," Edmonton Journal (27 Oct 2012), and a related blog post "The Witch-Burner's Mein Kampf: Excerpts of Evil" (Oct 2012).